I was a Sherlockian for a little over a year before I had the nerve to “go public” and connect with others. When I finally did, one of the first things I noticed was just how darned smart everyone was! And not just when it came to Sherlock Holmes. They knew lots of things about lots of things–all sorts of topics and specialties. It had nothing to do with education. Some of the most knowledgeable Sherlockians I know never went to college; there may be some who didn’t graduate from high school. Other have many, many letters after their names. What they all have in common, however, is a continuing curiosity–a desire to keep learning about something–and maybe everything. 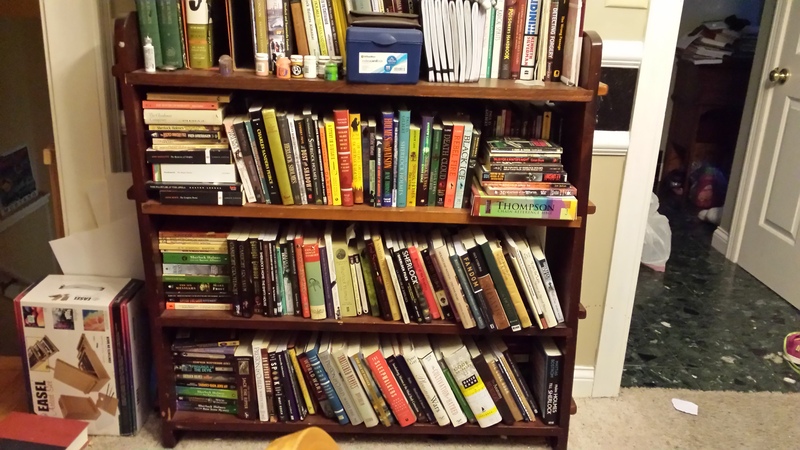 And they also like to share it, as is evidenced by the thousands of books and articles dealing with every aspect of the Great Detective and his Boswell. Some enjoy imagining new adventures for the pair, or filling in the blanks Watson so thoughtfully supplies. Others like investigating the history behind the stories, be it social, military, political, scientific, or cultural. A substantial number enjoy playing “The Game,” that is, thinking of Doyle’s world as if it were complete fact, and working out the details, either in a deadly serious, whimsical, or frankly crazy fashion. There’s a wealth of Sherlockian knowledge on these shelves. Along with some outright crazy. 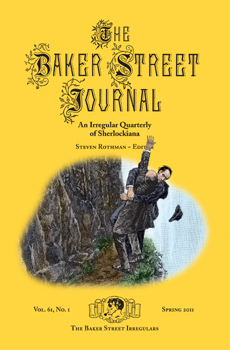 You can find an example of just about every sort of Sherlockian writing in the Baker Street Journal, published quarterly by the BSI (Baker Street Irregulars) almost consistently since 1946. Every issue is like attending a little scion gathering–in your living room, the car, at the beach…wherever you happen to be. In A Study in Scarlet, Stamford suggests that Holmes take up publishing. What would be the medium, topic, and title? When I did my student teaching, ages and ages ago, I absolutely loved it when a student had a grat idea or knew something I didn’t. It made the classroom collaborative, for one thing, and for another–it just made me happy. So as I went through today’s answers as they came in, I was really amused to see how I have been totally schooled! Seriously! I had 2 women in mind: Sarah Cushing, who manipulated the man she loved into killing his wife (her sister) and a friend (supposedly her sister’s lover) in the remarkably graphic “Adventure of the Cardboard Box.” The other was Catherine Cusack, the maid who had no problem making James Ryder into a jewel thief and setting up innocent John Horner to take the blame. Yes, very nasty, both of them. But I had completely and inexcusably forgotten the other women whose names you submitted: Isadora Klein, who would rather her ex-lover, Douglas Maberly, die than have the details of their affair published in his roman à clef; and Mary Holder, who helped Sir George Burnwell steal the Beryl Coronet and let her cousin become suspect. Other villainesses named were Mrs. Schlessinger, one half of a fraudulent missionary team who took advantage of Lady Frances Carfax, Violet deMerville, whose devotion to Baron von Gruner made her cold-hearted as well; Rachel Howells, who killed the Musgrave butler Brunton in a jealous rage; and, of course, the most “winning woman” Holmes ever knew of, who killed her own children for the insurance money. 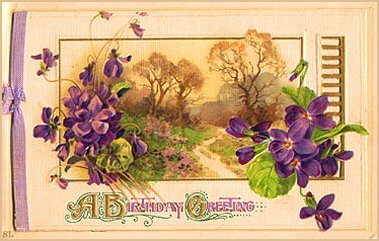 And with that–Congratulations to Curtis Shideler, who named Isadora Klein, and Sheila Elder, who mentioned Sarah Cushing, Isadora Klein, and threw in Sophy Kratides for good measure; although she is not exactly a villainess in the Canon, Holmes definitely sees her as one in the Granada version. Stamford suggests Holmes publish a newspaper on crime, titled ‘Police News of the Past’. No prizes, thanks! =) Been lots of fun doing this, hoping to see another one next year! It would be a newspaper or periodical, the topic of which would be crime and criminals and it would be called “Police News of the Past”.